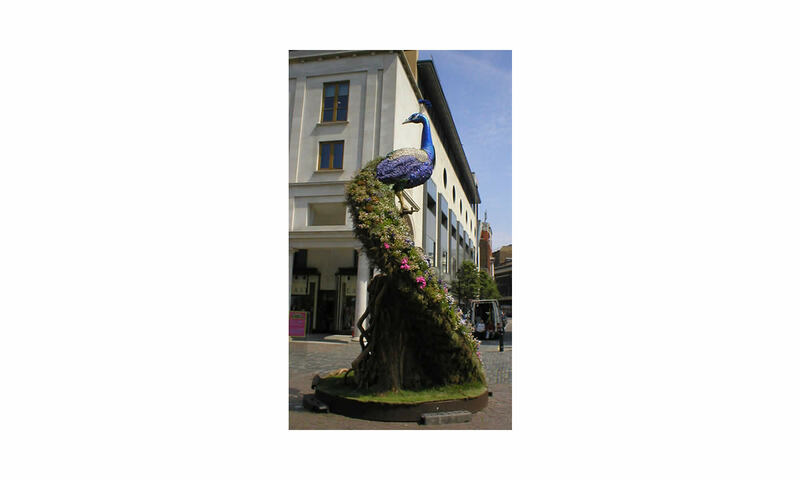 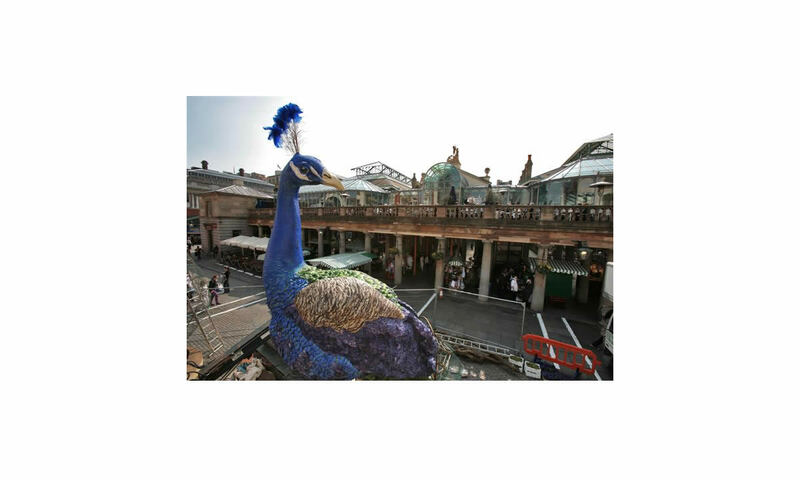 As part of a Spring Rennaissance promotion in Covent Garden, we were commissioned to make a giant floral peacock to be exhibited for four weeks in the Piazza . 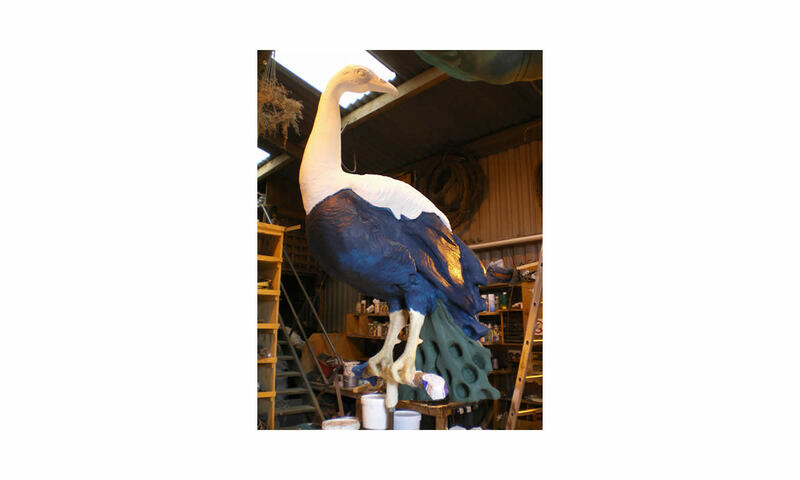 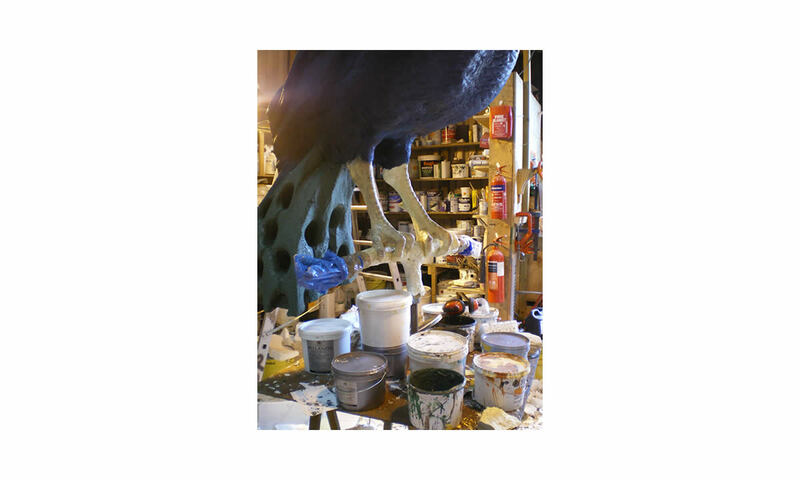 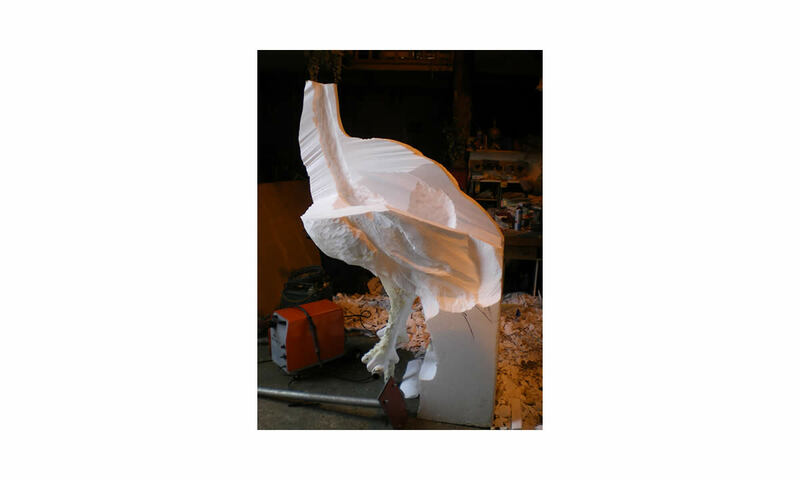 The body of the bird was carved from polystyrene and covered with thousands of blue silk petals. 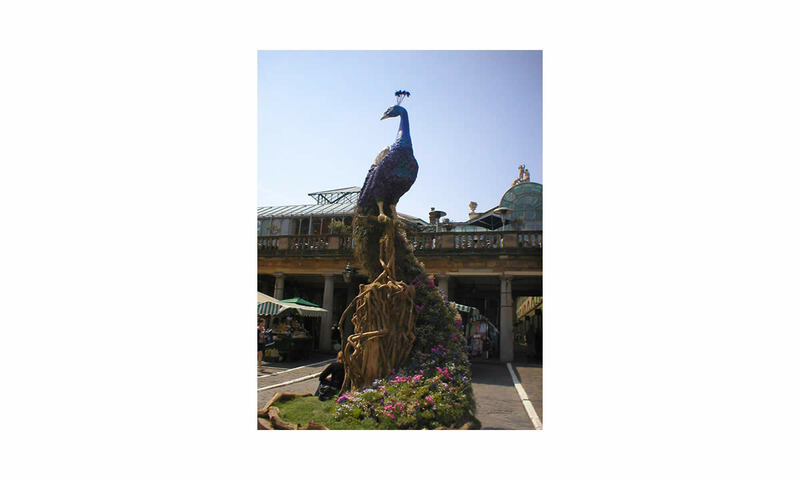 The colourful trailing tail was constructed with Rhododendron roots to make a woven fretwork into which alpine flowers were planted. 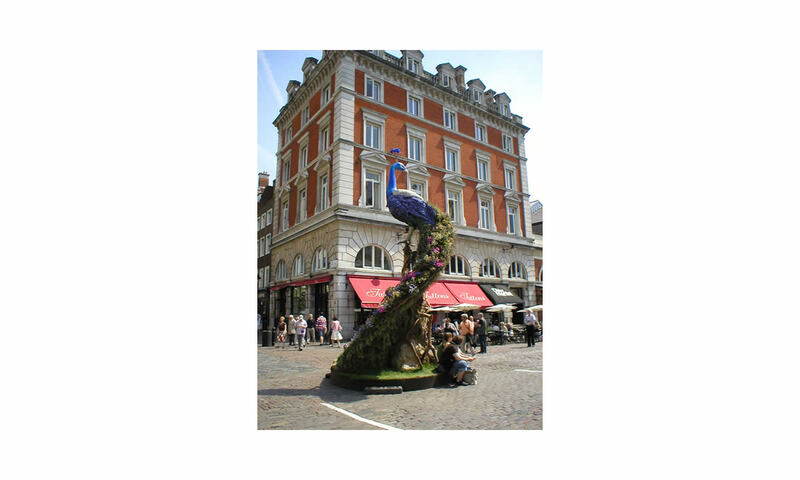 We also made a allotment garden which was displayed on the other side of Covent Garden.